Check with these Institutions for up-to-date schedules. 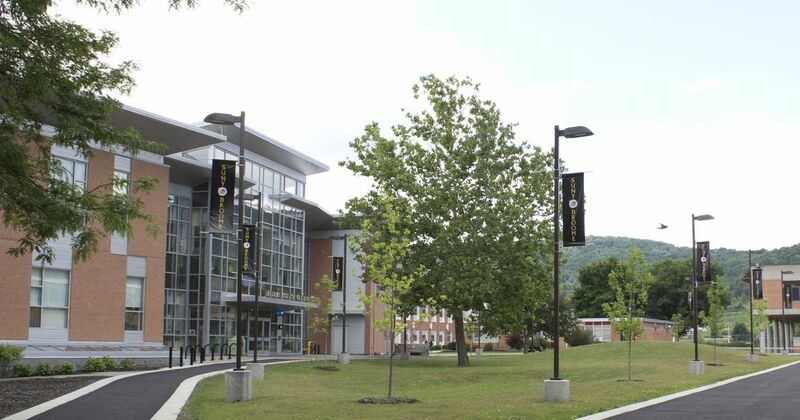 SUNY Broome offers teacher preparation courses through a partnership with their Community Education Program. The program is designed to help educators keep up with current information and techniques affecting driver education programs. Designed for busy teachers who might not be able to take all components on-campus, SUNY BROOME's classes are blended with campus meetings & online work. ​Call 607 723-4216 for details. The program consists of four courses; One of the four is a hands on course where teachers must meet at SUNY BROOME campus for the coursework. The other three courses are blended; meetings are at the beginning and ending of the course, on campus, and /or other work being done online or field trips. Course content is based on certification requirements in New York State. As with other programs the courses offer flexability, both online training and practical learning and allows you to finish the coursework for driver education in less than 12 months. TSE 540 Risk Assessment ( no pre requisite ) A general safety course which includes special related topics of drinking, drowsy, distracted and deadly driving problems associated with the causation of accidents and collisions. TSE 590 Problems, Trends and Issues In Driver Education - Instructional techniques, material development, out reach for associated driver safety programs. Recognition of course completion is awarded through partnership with SUNY Broome, a fully accredited institution and ADTSEA, American Driver Traffic Safety Education Associaiton . The course work is transferable to many states across the country. Courses are adapted to meet all requirements for New York state teaching requirements. Students register at SUNY Broome 607- 778-5012. This program is a community education program that is not supported by any college tuition programs and does not qualify for any college or university major, minor or elective. Email the instructor at BCCDRIVERED@aol.com for more information. ​Risk Management, Traffic Safety 1 and Traffic Safety 2 coursework must be completed for a transcript to be issued so that submission for provisional teaching approval. Study of the fundamentals of safety including the accident problem and the societal impact, causation, and counter measures of accidents. Also, safety in the workplace, Occupational and Health and Safety Act regulations, home, school and recreational safety, traffic safety, and disaster safety. 3 Credits. For experienced teachers desiring to meet New York State qualifications for instruction in secondary schools; prepares students to organize, teach and administer driver education. Emphasis is placed on materials and methods of teaching both the classroom and practice phases of a high school program. 6 Credits. For in-service teachers and supervisors of driver education. Selected instructional, supervisory and psychological aspects of traffic safety. Advanced techniques of instruction, new resources, research and professional problems. Prerequisite: teaching or supervisory experience in driver education. 3 Credits. As each person's situation is unique, your best source of information is by contacting the Department of Vocational Teacher Preparation office. Call 315.312.2480 to receive information or to arrange for a phone or live appointment. Interested in working with special need drivers. This Association is all about that. Not only do they have National and Regional meetings but they also conduct workshops that may interest driver education teachers who are looking to use their teaching skills with a different population of students. Learn more by clicking on the above website or cutting and pasting it into your browser. The following Teacher Preparation institutions have provided the Association with information about coursework they offer. For more information contact them directly.